This microphone setup used five Avantone CK1 microphones (with their cardioid capsules) to record the vertical dispersion characteristics of a flute. Vertical Dispersion: For these audio examples, all the mics were set up around 40cm from the instrument at different heights. E WAV/MP3 At approximately waist height pointing towards the instrument. 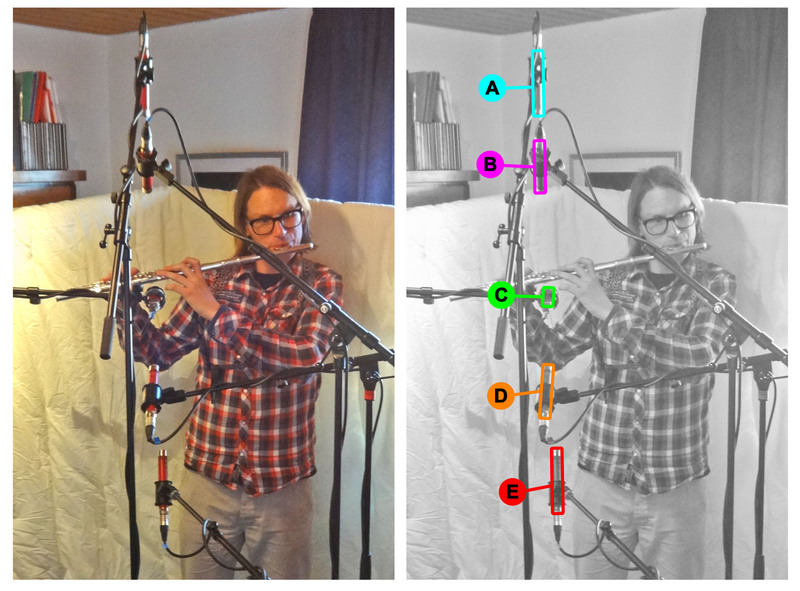 This microphone setup used five Avantone CK1 microphones (with their cardioid capsules) to record the horizontal dispersion characteristics of the same flute as in Multimic Setup 1. 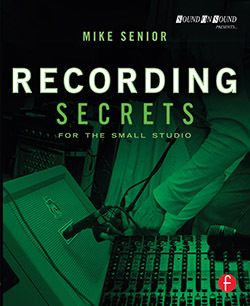 Horizontal Dispersion: For this set of audio examples, the microphones were set up in a line slightly tilted from the horizontal plane (to match the natural slant of the instrument during use) with all mics approximately 20cm above the level of the instrument, pointing downwards towards it.